The skilled team at Arkansas Surgical Hospital applies over a combined 100 years of neurological experience to diagnosis and treat your spine pain. Their objective is to get you back to the life you love. A full range of spine conditions is addressed with the hospital’s comprehensive care, as physicians offer personalized, cutting-edge interventions (both non-surgical and minimally invasive surgical procedures) to effectively heal pain from common and complex conditions alike. There are 6 spine surgeons serving 1 convenient location. 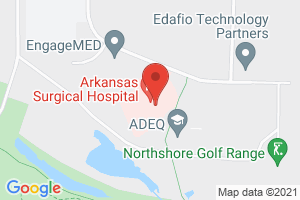 Arkansas Surgical Hospital has the advantages of being a physician-owned hospital, such as a streamlined administrative structure and a greater focus on patient experience. Arkansas Democrat Gazette named the hospital’s Dr. Thomas as the best neurosurgeon in central Arkansas (2016). Arkansas Surgical Hospital is committed to helping you recover pain-free mobility and independence. "I would recommend Arkansas Surgical Hospital because anyone in pain wants to know the doctors and the staff care. The staff was extremely courteous and concerned for my health." "I have never experienced a hospital that displayed the amount of compassion and professionalism that Arkansas Surgical Hospital does. Please extend my sincere appreciation to all of your staff, and keep up the good work. I would have absolutely no problem recommending your facility to anyone, for anything." "Arkansas Surgical Hospital is the best! I had the greatest experience during my recent stay. I had professional, compassionate care, and my husband felt at home while he stayed with me." "When we walked in the front doors of Arkansas Surgical Hospital, we felt immediate relief. Wow, what an amazing hospital! I can tell you that it was the best experience... The accommodations were fabulous! The nursing staff was so attentive...We loved it! 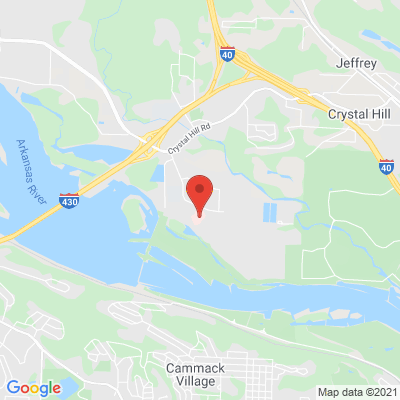 No doubt Arkansas has a real jewel with the standard of care given by Arkansas Surgical Hospital and its fine physicians." Profile last updated: May 30, 2017. This information was supplied by or on behalf of the provider.